Every so often asteroids pass by the Earth. Some pass close enough to see with a backyard telescope, while others require the use of special telescopes. What makes this asteroid very special? Read on to learn more about Florence the Asteroid. In 1981 American astronomer Schelte John “Bobby” Bus discovered an Amor asteroid and named it Florence, after Florence Nightingale, the famed founder of modern nursing. What makes an asteroid an Amor asteroid? The asteroid’s orbit must be outside the orbit of Earth. The asteroid’s orbit must not cross Earth’s orbit. When Florence passes by the Earth Sept. 1st, 2017 it will come within 4 million miles of our planet. Our moon averages about 238,855 miles away Earth. Therefore, the asteroid approaches us 16 times farther away than the moon. According to astronomers that distance is fairly close. Astronomers hope to learn more about asteroids with the passing of Florence. Using ground based radar imaging in California and Puerto Rico, they hope to capture better images. “The resulting radar images will show the real size of Florence and also could reveal surface details as small as about 30 feet (10 meters),” said NASA. NASA states that every 2000 years an asteroid the size of a football field hits the planet and causes significant damage. With Florence sized at approximately 3 miles across, any impact would cause massive destruction on the Earth. Imagine 44 football fields end to end and you will begin to see the diameter of Florence. Consequently, if one football field causes significant damage, then a 3 mile asteroid would have 44 times the impact. Between 2000 and 2013, sensors detected 26 explosions on Earth ranging in energy from one to 600 kilotonnes. To put the explosions in perspective, the atomic bomb that destroyed Hiroshima in 1945 exploded with an energy impact of 15 kilotonnes. While most of the asteroids exploded too high in the atmosphere to do serious damage on the ground, the evidence is important in estimating the frequency of a potential “city-killer-size” asteroid. 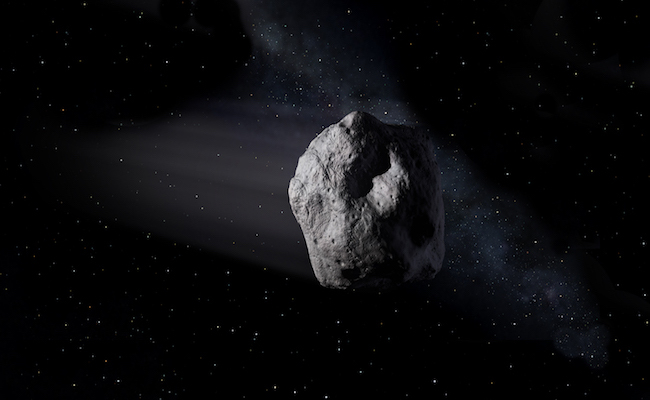 NASA tracks thousands of asteroids every year. It recently made plans to send an unmanned probe to asteroid 1999 RQ36. With the slight potential of hitting the Earth in 2175, NASA wants samples from the 1999 RQ36 to know what they are dealing with. This has the potential to hit the Earth on 78 different occasions as it passes from 2175 to 2199. The chances that it would hit us- 1 in 2700. The probe would get there in 2019 and return with samples by 2023. With too many unknown answers scientists continue to study them with advanced equipment. If something does hit the Earth in 2175, we will not know regardless. It will take an advanced mind to figure out how to change its course as it orbits around us in space. Hopefully, whoever does figure out how to change the orbit will do it quickly before any one of these huge asteroids hits the Earth. Aliens, Where are the they?